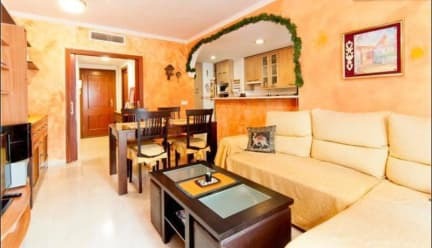 This flat is located in the heart of Malaga, close enough to walk to the center in 10 minutes, but far enough to escape the tourist crowds. There are 3 bedrooms, 2 baths, living room and kitchen. 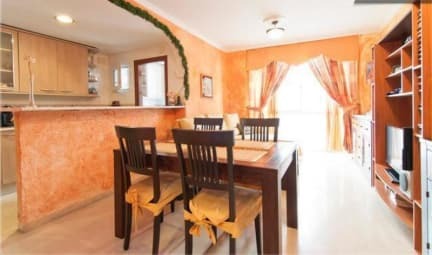 The living room and kitchen are separated by a breakfast bar, which is the ideal location to eat a typical Spanish breakfast- coffee and toast, which is included in the room cost. There is central air conditioning, a washing machine and a fan available for each room.